TRI 101 is a beginner's triathlete program! 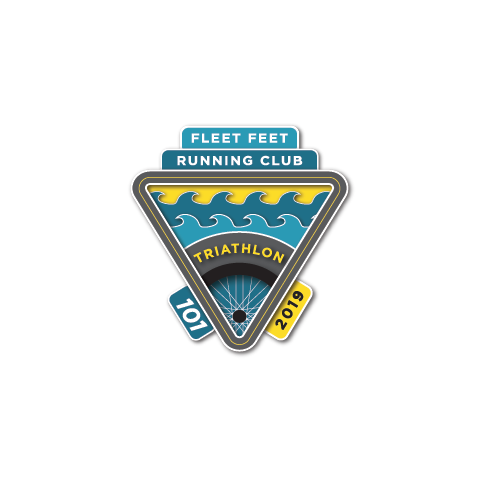 This 16 week program is geared towards the new triathlete covering swim technique, cycling safety and gearing, run technique, transition, nutrition, injury prevention, stretching and more. It will be a complete training program developed by experienced and certified coaches to guide you to the goal of a sprint distance triathlon (400 meter pool swim, 7 mile bike, 3.1 mile run). Our goal race is the Huntsville Sprint Triathlon on August 10, 2019. Best of all, this is a welcoming environment, where all paces, ages (16 and above), sizes and experience levels are welcome! YES YOU CAN! You must be able to walk 1 mile, ability to get across 1 length of a pool (25 yards) with no fear of putting your face in the water and have access to a bike several times a week. This is truly a program for beginners! You must be at least 16 years of age and understand traffic laws. Also, you must be a US citizen, due to training sessions that access Redstone Arsenal. It is imperative that you meet these minimum requirements! No athlete left behind policy! Becoming a TRIATHLETE at the end! Bike: Any bike will do to help you complete the course. There are benefits to having road bikes vs. mountain bikes, but if you have a properly working & well-fitting bike in your garage, that is all you need! Bike gear: Helmet that is free of defects and cracks is required. Reflective vest. Blinking light. Other bike accessories, such as a pump are beneficial as well. Run gear: If you have not been fitted for shoes, please visit Fleet Feet for a free fitting! Swim gear: Bathing suit and goggles. While visiting Fleet Feet, they can guide you on choosing the right pair of goggles to fit your face well. A swim cap will be provided at kick-off. Exercise mat: To help you become a more conditioned athlete, we will be doing some strengthening and core conditioning. Event Location: Huntsville Natatorium in Huntsville, AL. Nesin Physical Therapy will be providing expertise to your training through experienced Physical Therapists attending sessions, giving you someone to ask questions to, exercise recommendations & the correct way to perform certain exercises/stretches, etc. If you are experiencing any physical issues, no matter how small, prior to our training to start, please visit Nesin Therapy for a consultation & let them know you'll be in our programs so they can get you well in no time! Bicycle Cove: We invite you to come to Bicycle Cove where our ultimate goal is to break down the barriers that keep people from falling in love with cycling. Whether you need an advocate for safe places to ride, a massive selection of bikes and accessories or first rate customer service, Bicycle Cove is your shop. To me, there is nothing more fulfilling than helping people enjoy the bike as much I do. Now I get to share this joy with my family and you! Thank you current and future cyclists of Huntsville for the incredible opportunity to share my passion for cycling with you. My family, staff and I look forward to serving the community and providing the bicycle buying experience you deserve!